Microinverter pioneer Enphase Energy reported record revenue for a Q2 and continued its strong growth in sales while holding gross margin steady. Enphase's total revenue for the second quarter of 2015 was $102.1 million, an increase of 25 percent, compared to $82.0 million in the second quarter of 2014. 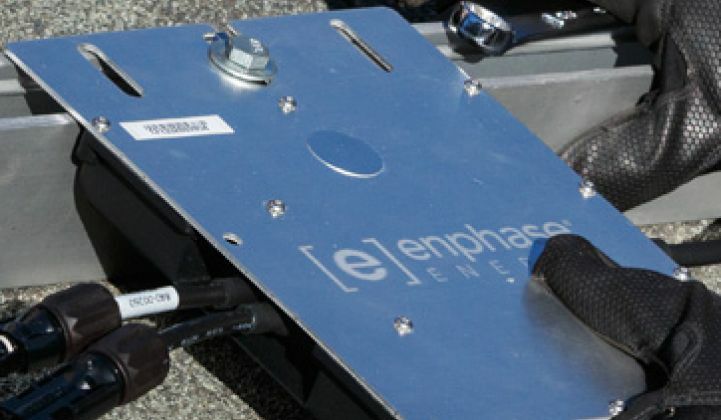 Enphase sold a record, and better than anticipated, 195 megawatts (or 859,000 microinverters), a 48 percent increase compared to the second quarter of 2014 and a 21 percent bump compared to the first quarter of 2015. GAAP net loss for the second quarter of 2015 was $0.6 million, compared to a GAAP net loss of $3.0 million in the second quarter of 2014. 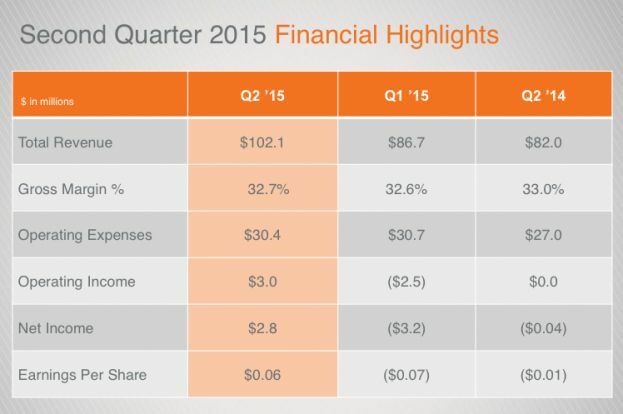 GAAP gross margin for the second quarter of 2015 was 32.3 percent. Paul Nahi, CEO of Enphase, said, "Demand for our solar energy systems was strong in our core U.S. residential markets, as well as in Europe and Australia, resulting in a new quarterly shipment record of 195 megawatts. We continue to expand our customer base, including our recently announced partnership with Sunrun." Enphase has shipped 357 megawatts in the first half of this year, more than the company shipped in all of 2013. Investment firm Avondale Partners notes that "all-in revenue per watt of $0.52/W was down $0.01 q/q, slightly worse than expected." "We expect revenue for the third quarter of 2015 to be within a range of $100 million to $105 million," stated CFO Kris Sennesael. 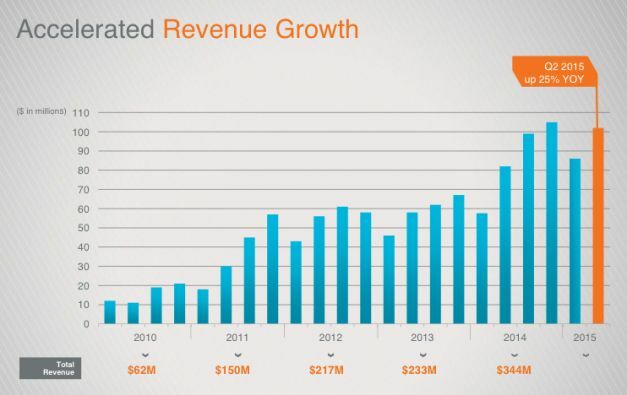 "We expect gross margin to be within a range of 30 percent to 32 percent. We also expect non-GAAP operating expenses for the third quarter of 2015 to be flat to up 3 percent, compared to the second quarter of 2015." Avondale called the guidance "weak, as expected," adding that "margins are coming in ahead of our model, suggesting management is willing to sacrifice sales for margin at this point. That is probably the right call for the short term, but ultimately we expect Enphase to get more aggressive with pricing to maintain share at key customers and win new business." MJ Shiao, director of solar research at GTM, notes, "Once again, Enphase has grown its business along with the booming U.S. residential market -- no easy task with a differentiated solution in a heavily competitive market. Revenues per megawatt were down roughly 16 percent year-over-year, reflecting a continued tough pricing environment for residential inverters as downstream firms chip away at installed costs ahead of expected federal ITC reductions and string inverter vendors attempt to combat the growing share of module-level power electronics in the U.S. residential market. With serious lower-cost competitors in the market, Enphase must continue aggressively reducing costs and pricing." "Going forward, we expect ongoing rapid shutdown adoption to be a major driver for MLPE devices in U.S. residential market -- at least until string inverter vendors can offer a cost-effective competing solution. 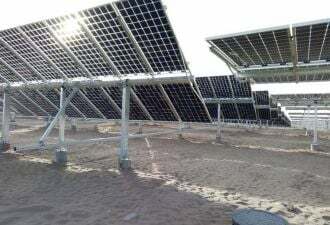 Furthermore, Enphase's push toward a 'solar-plus' platform that would allow for fleet-wide remote communication and control serves as a wildcard growth opportunity, as downstream residential firms and utilities look toward distributed solar to provide additional services beyond energy generation."